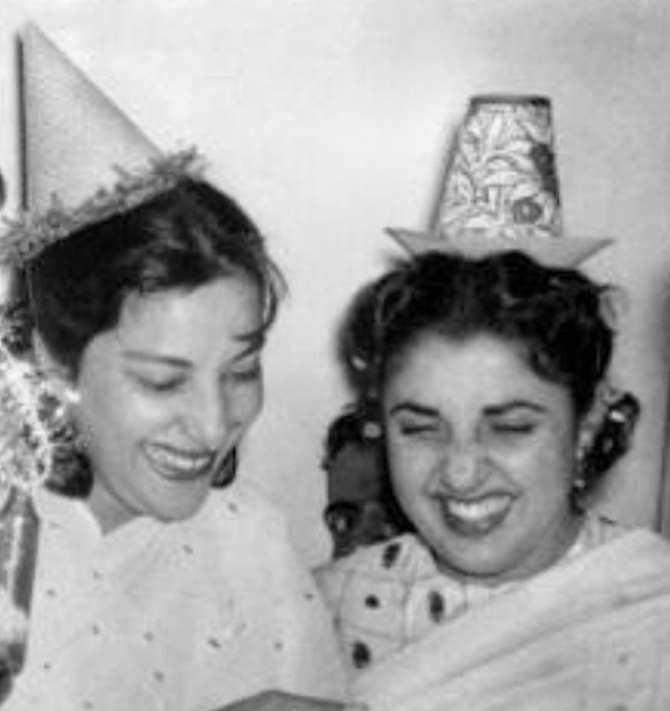 IMAGE: Daisy Irani, left, with Shammi at the music launch of Shirin Farhad Ki Toh Nikal Padi. 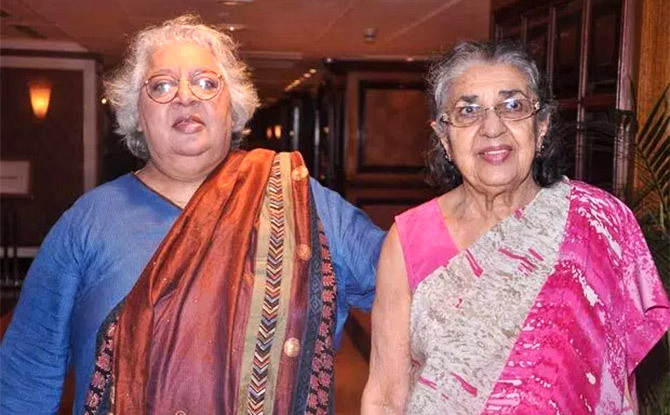 Shammi, the veteran actress popularly known as Shammi Aunty, has passed away. She was 89. She acted in over 200 films. 'Shammi, aunty to me and a great actor of yesteryears passed away today,' Priya Dutt tweeted about her death. Some of her successful movies were Ilzam (1954), Pehli Jhalak (1955), Bandish (1955), Azaad (1955), Halaku (1956), Son of Sinbad (1955), Raj Tilak (1958), Khazanchi (1958), Ghar Sansar (1958), Aakhiri Dao (1958), Kangan (1959), Bhai-Bahen (1959), Dil Apna Aur Preet Parai (1960) Half Ticket (1962), Jab Jab Phool Khile (1965), Upkar (1967), Ittefaq (1969) and The Train (1970). 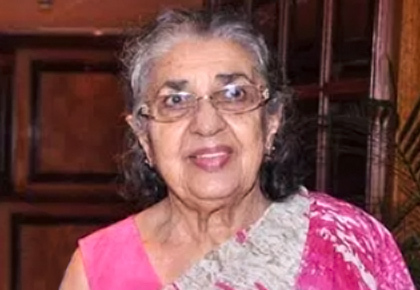 Shammiji was part of television serials as well -- Dekh Bhai Dekh, Zabaan Sambhal Ke, Shriman Shrimati, Kabhi Yeh Kabhi Woh and Filmi Chakkar. She made a comeback into films with Bela Sehgal's Shirin Farhad Ki Toh Nikal Padi in 2013.